A rare, and therefore rather expensive addition to a natural perfume, Orris Root is derived from the rhizomes, or roots, of the Iris pallida. 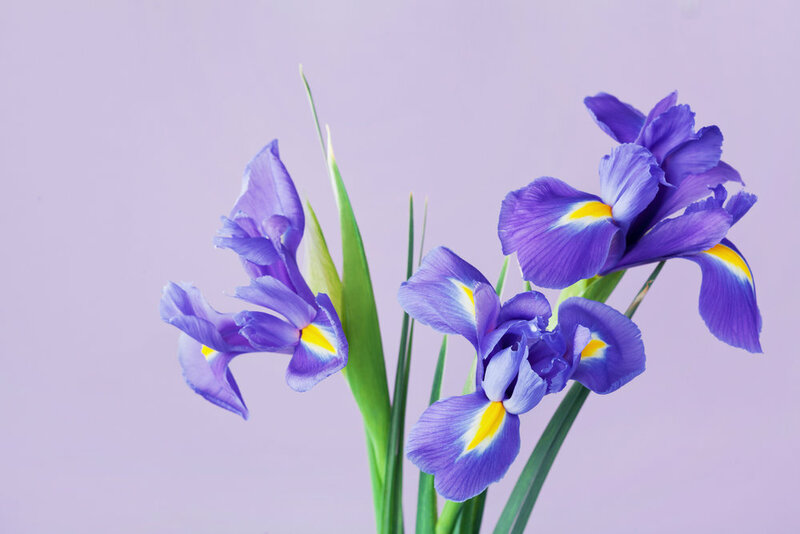 It has a delicate, violet-like scent that has been used in perfumery since the 18th century. Orris Root is a natural fixative. This means that it increases the tenacity of the other fragrant oils in the blend. It also helps slow down the evaporation of the lighter oils (known as the top and heart notes), and this will help a natural perfume last longer on the skin. Fixatives also increase a perfume’s sillage (pronounced see-yazh), or its scent trail. When someone wearing perfume walks out of your office, the scent that lingers behind is the sillage. When compared to synthetic scents purchased at a department store, natural perfumes by their very nature don’t last long on the skin. And a natural perfume's sillage is fleeting. This can be rather disappointing for those who are new to wearing natural fragrance. However, people who enjoy natural perfumes don't think this is a bad thing. After all, most of us have experienced the stale perfume smell that lingers on our own or someone else’s clothes. It’s my opinion that even the most expensive synthetic fragrance smells cheap if your dress is still wearing it long after you've put it back in your closet. There is something very special about a perfume that is hand-blended with botanical ingredients sourced from nature. Natural scents allow us to throw open the window and poke our head outside -- even if we’re only doing it figuratively while sitting behind our desk at work. The last time I checked on the tracking of my tiny bottle of Orris Root as it makes its way across the Atlantic, delivery was slated for March 26. I'm counting the days.